The one that started it all….. 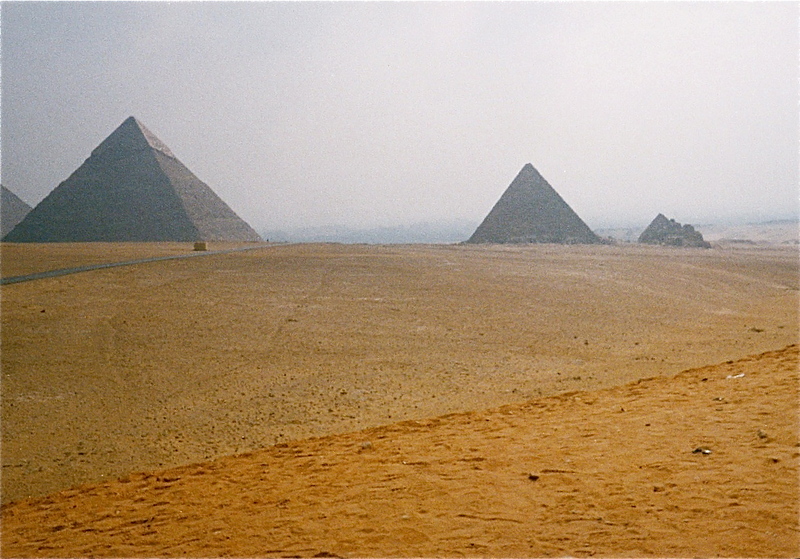 I thought I’d do some posts about my past travels – Egypt wasn’t the 1st place I visited but it was definitely the one that gave me some massively itchy feet. I think it was possibly a mixture of who I went with, the place I was in psychologically and just the fact Egypt is such a mystical place. It has to be in an awful lot of people’s ‘top 10 places to see before I die’ lists. I travelled with a friend, on a whim, on an all inclusive cheap last minute deal. 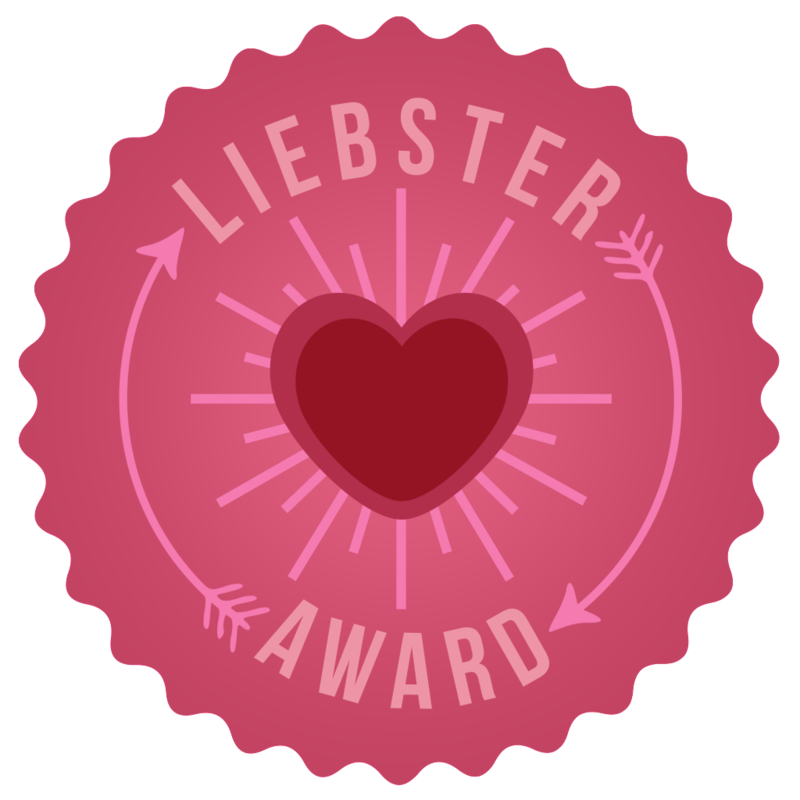 We went for a week and it was one of the best things I’ve ever done in my life. We flew out to Sharm-el-sheikh and stayed in a little 3 star hotel. The flights were delayed on the way out so we missed the chance to book a trip to the Valley of the Kings but that didn’t really matter at the time. It sounds strange but the staff at the hotel (in particular Atia the manager) and our package holiday guide Mina probably made the holiday. 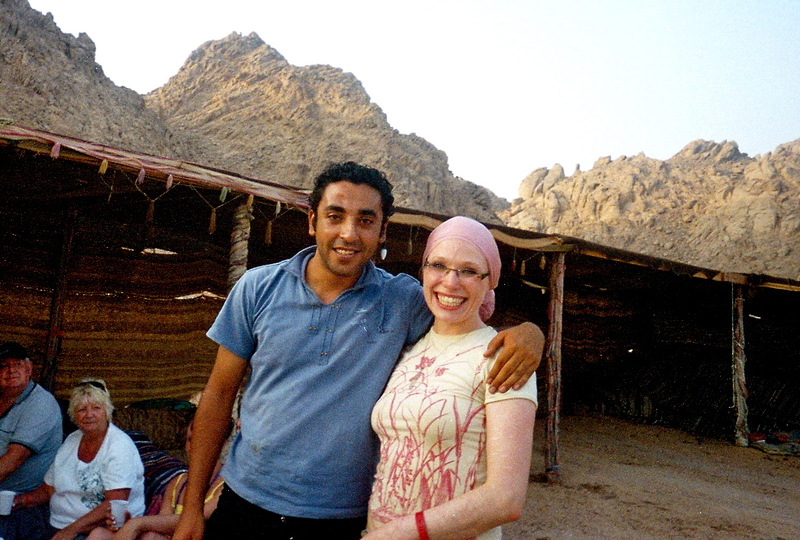 We were surrounded by rude Brit’s abroad who insulted the Egyptian culture and generally made me feel ashamed to be British – possibly because we weren’t like that, we had an amazing relationship with all the staff and especially Mina – who remains one of the most intelligent people I’ve ever met. He spoke numerous languages and there was no question he couldn’t answer. At least not one that I could think of, including questions about the geology of the Sinai mountain range (he gave me both the historical religious story and the actual geological make-up of the range). I think our hotel was called The Falcon but i’ve looked for it online and can’t find it. I assume in a place like Sharm el Sheikh things probably change often but if it is there I would really recommend it. Nothing (so far) has taken my breath away as much as seeing the enormity of the Sphinx, or going inside a pyramid and just standing before these incredible, massive structures. Now, I went on this holiday with very little money, I wasn’t a seasoned traveller and had a crappy disposable camera and my photos no doubt reflect that. I really can’t wait to go back and really take some magnificent pictures! Historically significant places have always held me in a thrall – none more so than Egypt and the pyramids (although so far the Colosseum, Rome comes a close second). 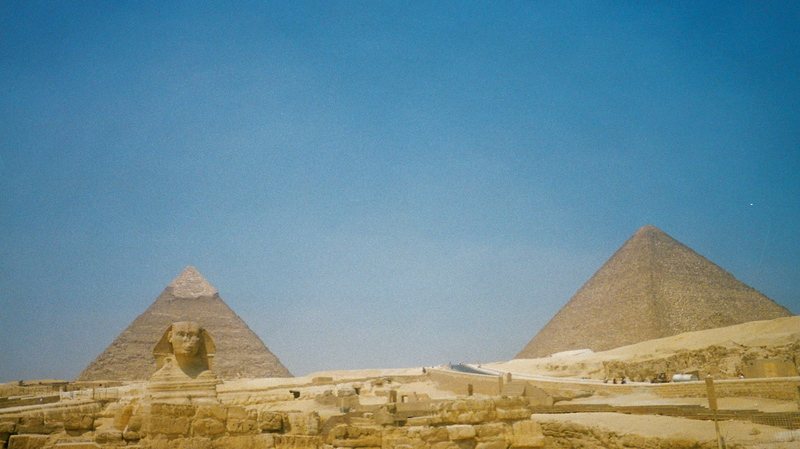 I find myself under a spell imagining the historical events that must have happened in the presence of the pyramids. 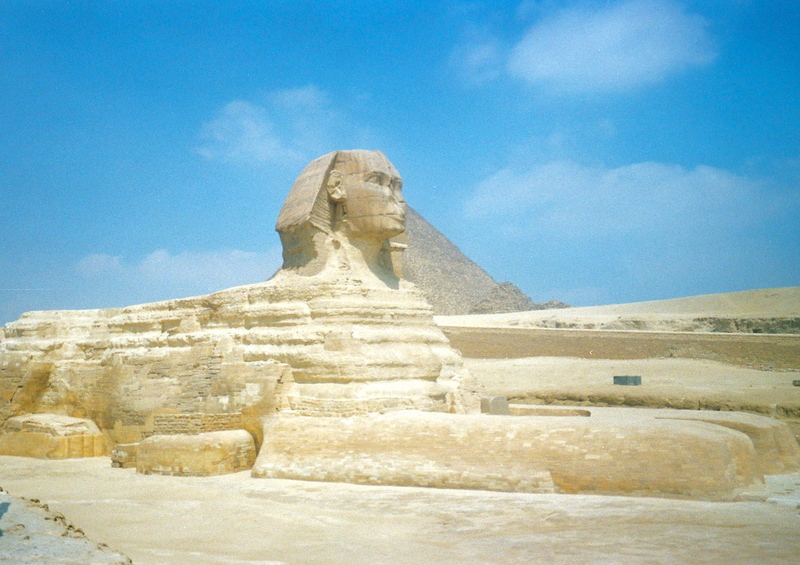 NO photo that I have seen as ever conveyed the sheer size of it all either – the Sphinx always looks tiny for some reason. 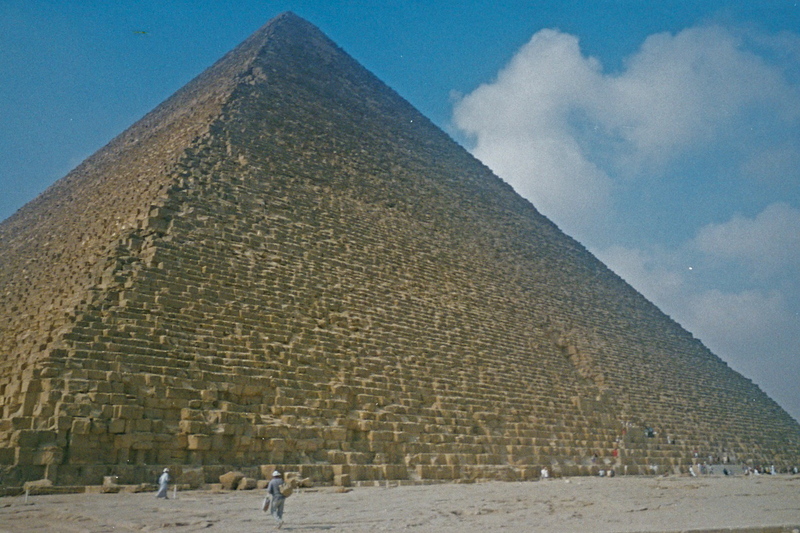 I think it’s because it’s always in the perspective of being in front of the pyramids – however in real life it is absolutely huge. 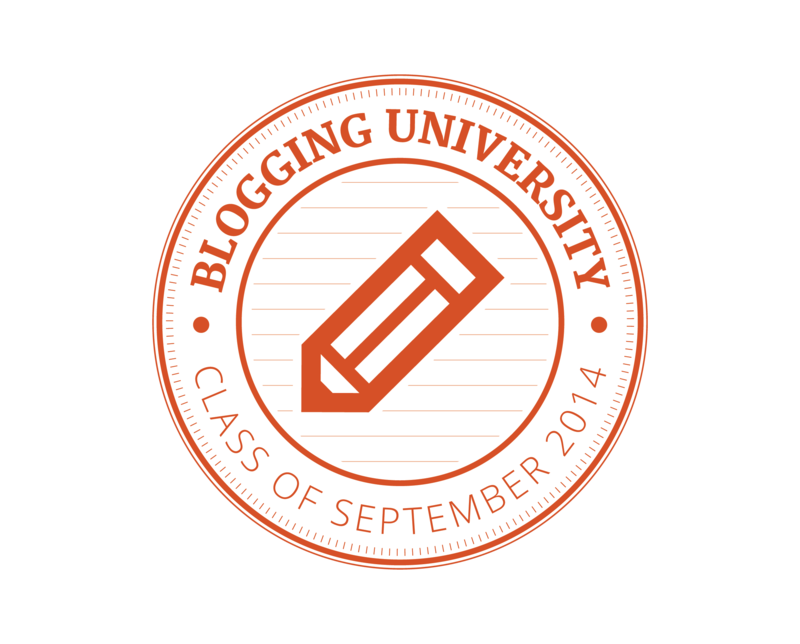 That probably took me by surprise the most…. This is what I mean – it looks so tiny in photos and I could have stood gazing at it for hours in reality because it was so breathtakingly huge and beautiful! 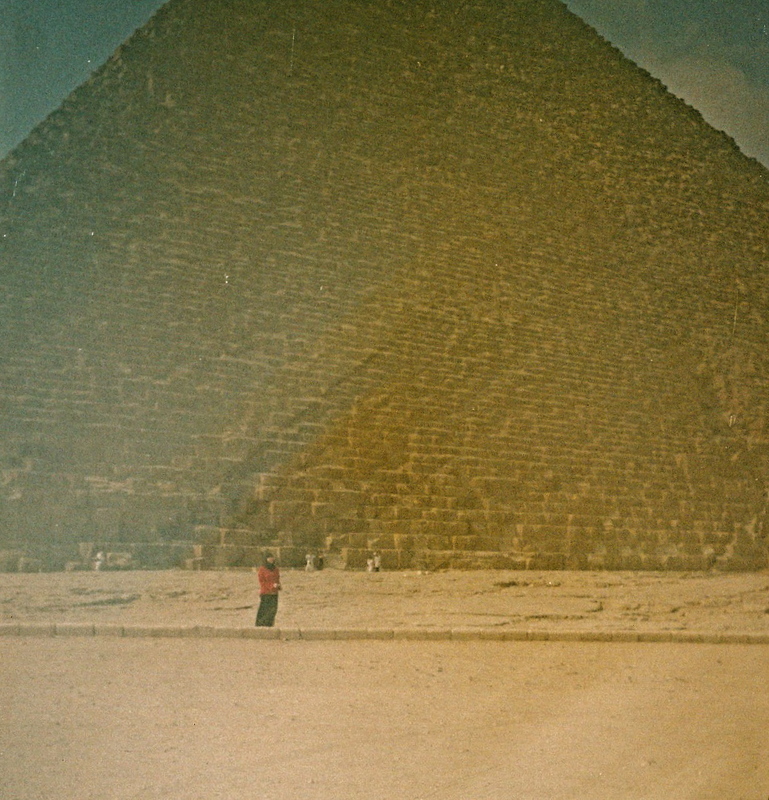 I think Egypt, and this trip in particular, will always hold a special place in my heart. It was a quick, week long package holiday that was nothing special. We did all the usual typical tourist things. 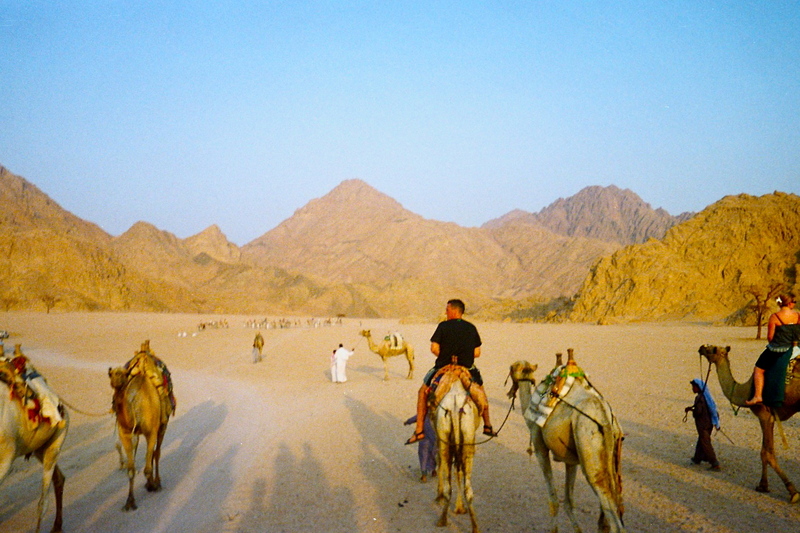 We rode camels and went and ate with the bedouin people and climbed the sinai mountains to watch the sun set. 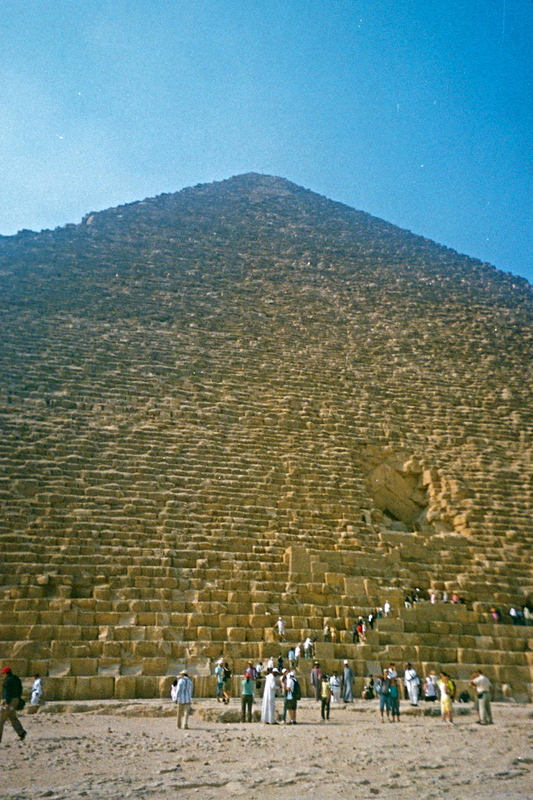 We went to Cairo and saw the pyramids and were taken to the Museum and the markets and to a papyrus shop. We laid by the pool for all of 5 minutes (boring by comparison), and went on a slightly disastrous boat trip in one of those half-submarines that are meant to show you the sea life (we missed the 1st trip and got shoved on a fully booked one so hardly actually saw anything but we got the gist of what we were meant to see). We went to see a Russian-esque horse show and belly dancers (clearly just a tourist show in Sharm el Sheikh) – this show was actually the place we had to stand and listen to some family insult Egyptian culture to our lovely tour guide and try to convey to him silently that we were horrified and also nothing like that. He got the picture and it seemed to cement our friendship with him for the week. I’m struggling to find the words to say that a holiday or a trip of a lifetime is what you make of it – somehow a week felt like a lifetime and we laughed and laughed our way through a glorious week that changed my life. It changed it in subtle ways, but it definitely changed me and also when I came back I knew that nothing will ever make me as happy as travelling and experiencing all the amazing places the world has to offer. It was at this moment when I knew that if I didn’t see the world and all it has to offer; and learn about and experience cultures 1st hand, then I would have an unforgivable regret at the end of my life. I’ve only just started to set off on that path to achieving my dream and I probably won’t be able to get going for a couple of years (saving money and finishing my degree), but I have this trip to Egypt in all it’s budget package holiday glory, to thank for making me realise that this is what I want. Below are my crappy, blurry photos taken with my trusty disposable camera, as rubbish as they may be they still make me smile whenever I look at them. I get pangs of longing to go back too. I think in a way you have to do Egypt once in order to learn how to do Egypt properly. Once the political situation has calmed down, I’ll be back in a second but I think I’d start at the top in Cairo and work my way down the Nil;e and next time I have to experience the Valley of the Kings! It was so hard to get a complete shot of the pyramid because they’re just so damn huge – this one kinda captures it though. The one below is tiny me in front of one – I think the perspective of how small the people are really gets across the enormity of the challenge the Egyptians faced when building these structures. 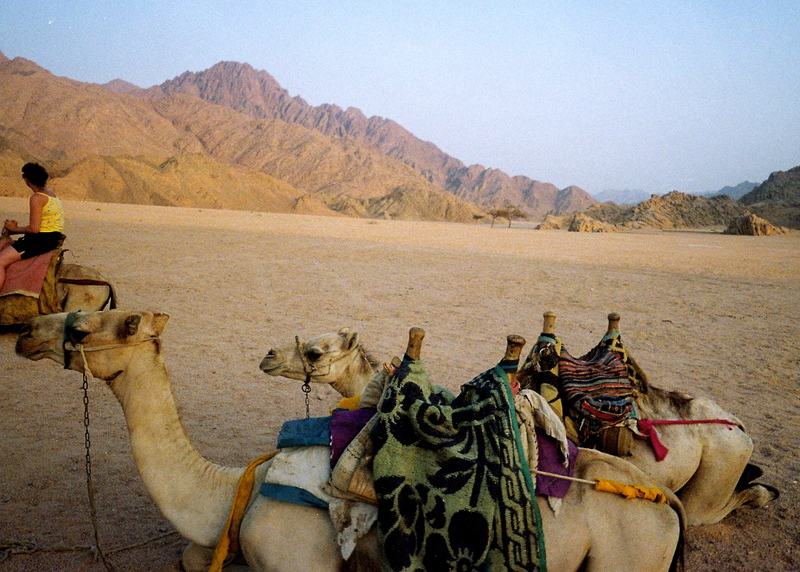 Our very grumpy uncomfortable camels – although that seems to be the norm with camels! 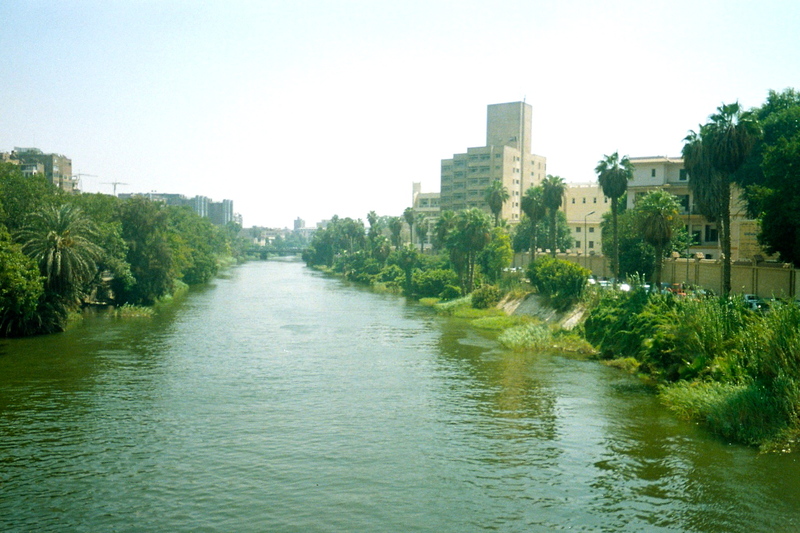 I wasn’t overly impressed with the Nile in Cairo – I suppose I had an image of what I thought it would be whereas it seemed a bit grubby. The view of Cairo from the pyramids, which are just behind me as I took the photo. I’ll finish here – I think Egypt will be one of those places that will mean different things to different people and no experience will be the same. Mine was endlessly positive and in many ways life changing. But I have spoken to people who hated it; I’m sure there are legitimate reasons but most of the people I’ve met have just been so wrapped up in people begging or so apparently offended by it without taking a moment to understand the economics or sociology of the country. There are lots of people begging, I suppose I just knew in a country where 80% live in poverty that would always be the case and it didn’t bother me. Howrever I can’t recommend enough that you visit this amazing, complex and mysterious country – preferably at least twice in your lifetime!